The official office hours are the times agreed with the health insurance companies for which the surgery (except for vacation and illness) is open and occupied. This does not mean that the ordination is not open at other times and appointments for examinations outside these times are given. (Opening hours). This does not mean that „your“ doctor must be present at the office during these times. be outside the house for an urgent visit or be represented by a peer. An appointment is therefore the guarantee that you will be examined and treated on a specific day in a relatively limited period of time. By this one understands all times, at which the ordination is opened and during which at least one ordination assistant is present. Insofar as these office hours are not at the same time an ordination period, they are used to make appointments, to pick up pre-ordered long-term prescriptions, referrals or findings by telephone, or to submit findings, etc. It is important to note that those forms that require a personal signature from a physician (such as prescriptions and referrals) can only be handed out outside of office hours by telephone reservation. Write down the questions that you would like to ask your doctor. If you already have findings from other doctors (eg specialist findings, findings from your family doctor or hospitals, a vaccination certificate, diabetic or allergy certificate, a pain journal, the records of your blood pressure or blood glucose self-measurements, or the like), take them to the current Doctor visit with. Compile a list of medications you are currently taking (important is not just the exact name, but also the dose and how many you should take from it, and it is best to take the medicine packs with you; ). Also note over-the-counter preparations such as vitamins, herbal preparations or similar. Think about whether you want to bring relatives or other familiar people, especially if you do not speak German very well, hear badly or have difficulty in reading. Get straight to the point and describe your health problem quickly and accurately. Avoid medical terminology such as sciatica or gastritis and respond carefully to the doctor’s question. Tell the doctor if you have allergies or other chronic conditions, such as High blood pressure or diabetes suffer. Tell your doctor if you are worried, depressed, or unsure about your condition. Tell your doctor immediately if you have not understood anything. Living conditions. Tell your doctor if something is particularly worrisome, distressing, or unsafe about your condition. Decide together with your medical officer about what to do. If it’s medically possible, then take a few days to think before deciding. In case of serious decisions in consultation with your doctor may get a second opinion! If you wish, add a confidant. Interact with selected other stakeholders (such as self-help groups). Let us describe their experiences. Remember, however, that it can be a „lay opinion“! Do I have to be treated now or is it enough to observe the further course? Which treatment options are available and which are suitable in my personal situation? What is the purpose and benefits of my treatments? Which risks, side effects and restrictions can I expect? Is there any scientific evidence that these treatments are successful and does that apply to my specific problem as well? But keep in mind: Even if it is scientifically proven that this treatment works, it does not mean that it works in your particular case! Will the treatments affect my personal everyday life? What side effects are to be expected? Which should I put up with, with which should I turn to my doctor, with which immediately? How often and how long do I have to take the medication? Are the new drugs compatible with those I have been taking? What do I do if I forget to take the medication or mistakenly take it twice? Do controls have to be carried out? If so, which and how often? When do I have to come back for a check? What should I pay particular attention to until the next visit to the doctor? When should I see the doctor immediately? Your trusted doctor will answer these questions, as far as they are relevant to you, even if you do not ask them! Make the most of your doctor´s / office visit! In recent years, non-practice lawyers and politicians have us doctors with largely unnecessary bureaucracy, such as evaluation, documentation, education documentation u.v.m. so that there is hardly any time left for the actual problem of the patient’s illness. The (financially) ill health insurance companies can´t reward the increased expenditure of time. Since we are also doctors of flesh and blood with physical and psychological limitations, we can´t compensate for this on our own. Unfortunately, we have only a very limited time for the very important doctor-patient interview. Prepare optimally for the doctor / appointment visit! For this we have listed below various tips on general topics as well as for individual special investigations. Read exactly these tips in your interest and follow our recommendations. Who is not nervous when he has to go to the doctor? Especially at the first doctor’s visit many questions are asked, which can be decisive for the correct diagnosis and thus therapy. Unfortunately, you have forgotten something or you do not want to think of it immediately. That’s why I’ve designed a questionnaire that you can print out and then fill out at home and bring to the office. Explanations for the correct completion of the questionnaire. profession: e.g. Nurse. Type of employment: It makes a big difference whether you a nurse in a hospital with a primarily sedentary occupation or a nurse in a nursing home. Details should be given for the diseases of blood relatives. For example, in „heart disease“: Aunt paternal myocardial infarction, niece maternal congenital heart valve defect. Nicotine: If you have had periods of non-smoking, write down the number of years you have been smoking. If you have 10 cigarettes per day and 60 cigarettes, make a note of 10-60 cigarettes per day. If you have an up-to-date list of medicines, you do not need to fill out the appropriate item and bring this list with you for consultation. If you have any further questions, please do not hesitate to contact our friendly staff by phone, e-mail or in person. Your e-card proves that you are entitled to free treatment in case of illness or injury. The costs are covered by your health insurance. It is therefore important that you have your e-card with you at all times and that you can show it with every appointment. In emergencies, of course, you will also be treated without your e-card. 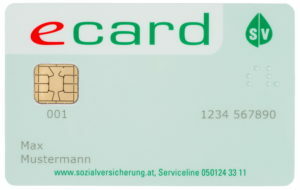 However, treatments without an e-card can mean that you have to deposit a deposit and hand over your e-card! 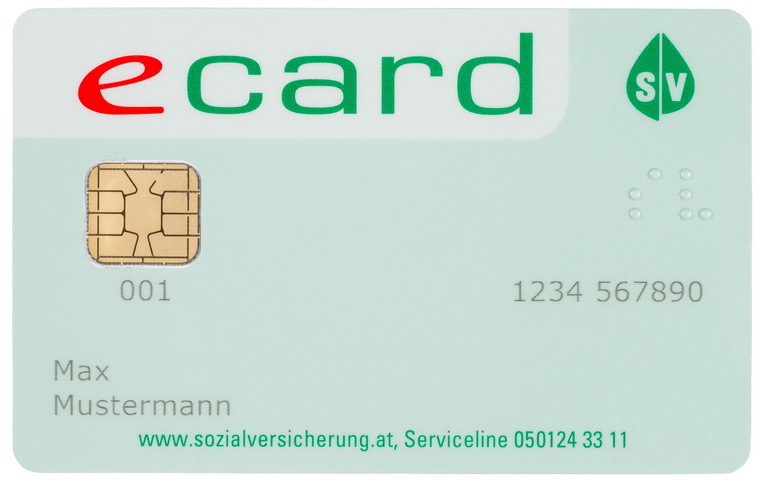 The most important thing is that you can present your e-card at EVERY doctor’s visit! Even if relatives, recipes, prescriptions etc. are obtained for you. We also ask for your understanding that discussions about the diagnosis and treatment of relatives, such as children and pets, may only be conducted by presenting the e-card. You will be informed separately of exceptions by the General Data Protection Regulation from 5/2018. This is the first medical information discussion. If this is done correctly, the doctor can already provide the correct suspected diagnosis in about 80% of them. All subsequent examinations should ensure the diagnosis in order to carry out a corresponding therapy. For this it is necessary that you tell your doctor exactly which symptoms you have, since when, whether there are any triggers for this, which examinations have already been carried out in this regard with which result. Has a therapy attempt already been carried out with which result? You can find out which questions are important in detail on my homepage, or receive patients in my office in a corresponding questionnaire. Describe (briefly) all your complaints! Often there are connections of the complaints that are incomprehensible to the patient. – Who as a medical layman would remember that it is between urogenital disorders, eye area and joint complaints is a disease.